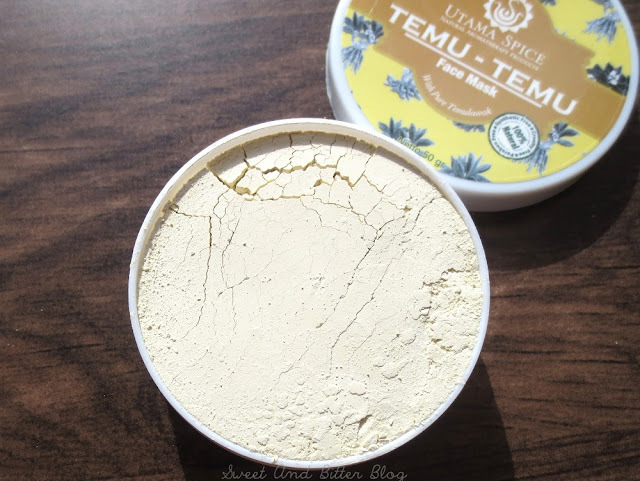 You might have seen the Utama Spice products in my Bali haul post. 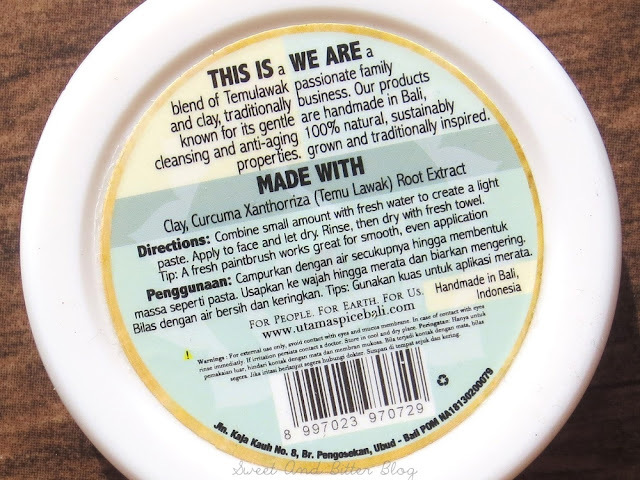 I tried to choose products with natural ingredients which are local to Indonesia. 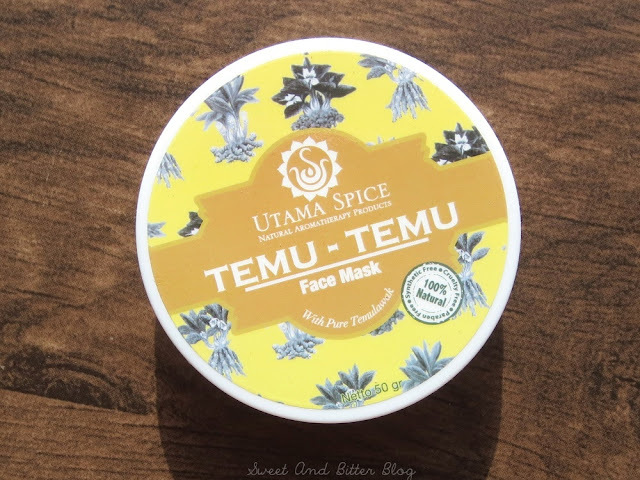 Utama Spice is one brand which attracted me. 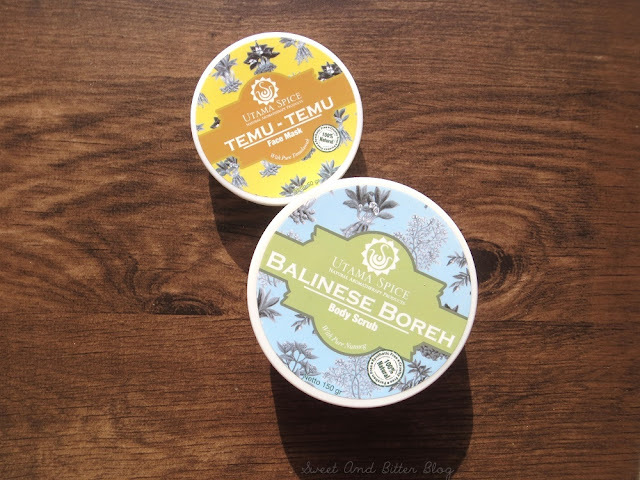 They use Balinese traditional herbs and medicines in their products, and I was in for it. The store is located in Ubud near the famous Monkey Forest. But, I spotted the brand even at the Guardian Stores and also at the airport. Boreh is not a single ingredient but a mix of spices which has a warming effect, which is not only detoxifying but also relieves pain. It is widely used in spa treatments as well. It is said to be used my rice farmers to relieve them from tired legs. 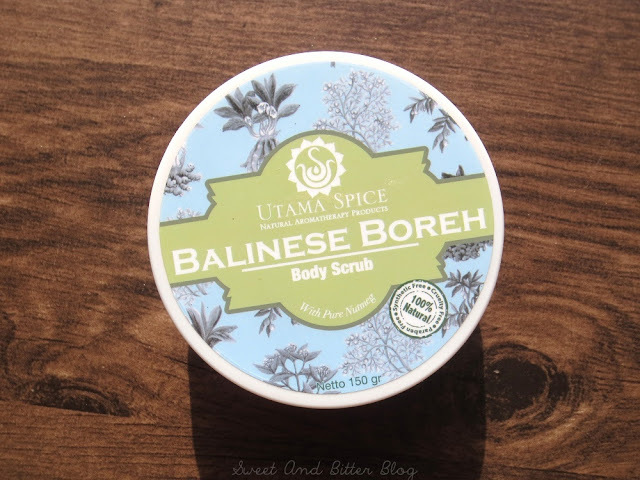 Balinese Boreh Body Scrub contains Sativa (Rice) Powder, Alpinia Galanga (Galangal) Root Powder, Kaempferia Galanga (Kencur) Root Powder, Eugenia Caryophyllus (Clove) Bud Powder, Coriandrum Sativum (Coriander) Fruit Powder, Cryptocarya Massoia (Massoy) Bark Powder, Myristica Fragrans (Nutmeg) Seed Powder. The texture is gritty and not easy to mix with water. I make a runny paste and apply with longer strokes. The scrub starts to fall off while using so, be prepared for a dirty bathroom floor. The natural texture of the herbs gives good exfoliation without harsh abrasive effect. It is not drying, but it is moisturising as well. Traditionally, a milk bath is to be followed after the boreh body scrub to pamper your skin. But, these days, my hotel life mode is on so, I used a body butter (Yes, not carrying any body oils. 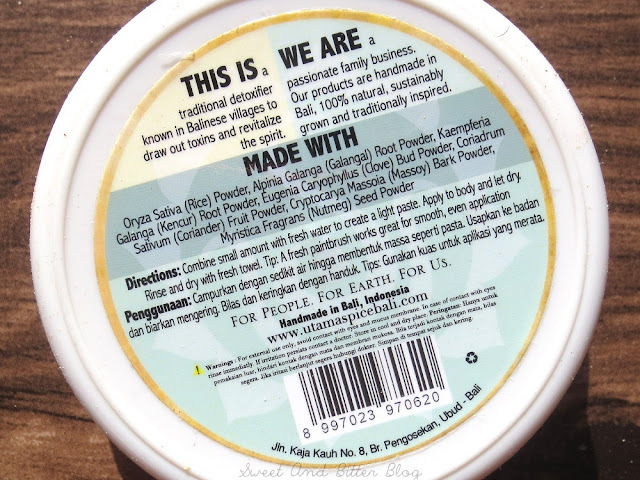 I am back to body butters on a temporary basis). I was expecting a good warming effect that will easy pain, but I miss that in this mix. I do find the warming effect when I use it on my face but never on my body. Even the warming feel is too much for the face, and I do believe that it should be used only for the body. The mask is made of Temulawak and white clay. Temulawak, also known as Javanese ginger is like turmeric’s twin and found in Indonesia. The blend is traditional known for anti-ageing property and to bring back radiance to the skin. The product is finely milled, free of fragrance face mask packed into a tub with screw-in lid. I make a watery mix and apply. It dries quickly within 10 minutes. The face pack does not irritate while applying. It washes away easily. It is better not to keep it on after it dries because of fall-off. When it is about to dry, at times it tingles a little on and around the nose. The feeling goes away in 10-15 minutes of washing it off. In a way, it reminds me of Vedantika Anti-Acne face pack. It gives me smoother skin and does works on slight redness that comes from pollution. My skin looks fresh the next morning. I have been enjoying good skin these days (thanks to Senstatia products) so, cannot comment with full confidence but I do think that it will be good for acne prone skin (thanks to Temulawak). As sourcing this will be tough when the face mask gets over, I will be using it only as a spot treatment. 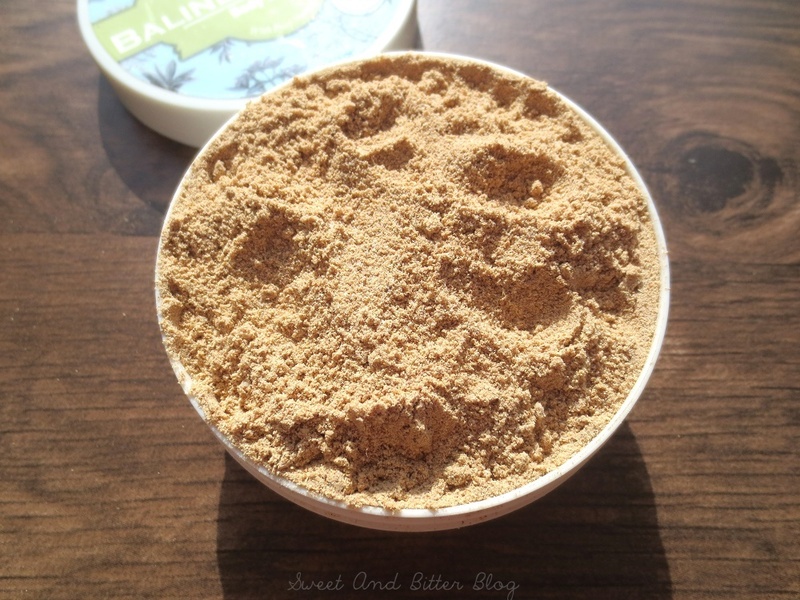 Overall: It was fun to try a local brand from Bali which not only handmade and 100% natural but also contains traditional Balinese herbs and formula. Also, they are good budget products. I am impressed by both the products. For the price, they are good to try products.